It’s More Than a Career. It’s Family. Do you have a passion for people? A flair for creativity? Are you a natural born leader? Then we have a gig for you. Opportunities include full-time and part-time jobs with a great workplace culture and serious benefits. Pick a store or start browsing available positions in your area. Promoting within is part of who we are. Click below to see positions available to internal applicants. If you’re an expert who’s powered by teamwork, and wants to make every day extraordinary for our guests, Market Street can’t wait to meet you! At United Supermarkets, we live by three rules: remember we’re better together, deliver service with heart, and stay true to your roots. If that sounds like a team you want to be a part of, check out our available positions! At Albertsons Market, we pride ourselves in being a tight-knit team with a culture that rocks. Explore available positions at your neighborhood store! At Amigos, we believe in sharing our flavorful culture with authentic everyday value and by inviting guests to celebrate our colorful Mexican heritage. Come and join us! If you’re looking for a fun work environment with a serious commitment to service, United Express might be the place for you! Apply today! Are you a warehouse worker, truck driver or someone who interested in a career in logistics? Our guests rely on dedicated people like you! Apply today! The leading distributor in the Southwest is looking for talented folks to help us put quality food on the tables of families across Texas and New Mexico. If this sounds like something you’d like to be a part of, apply today! Join a team dedicated to perfecting the art of cooked meats and unique side dishes! Explore jobs at a Praters facility today! 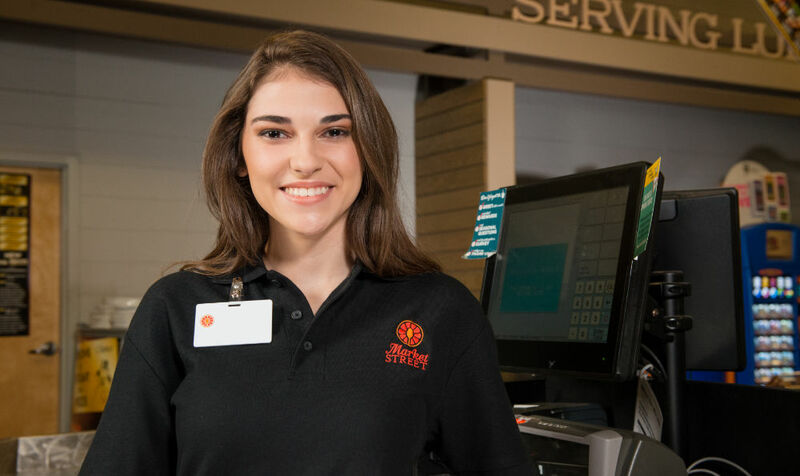 Interested in interning at our store support center? Click the link below to start your application! Is helping others what you do best? We’d love to add your talents to our family of company support team members! Join us at one of our in-store hiring events! The United Family is an equal opportunity employer committed to complying with all applicable laws providing equal employment opportunities. The United Family will provide reasonable accommodation to help you complete your application. If assistance is needed, please ask to speak to a hiring manager at your store or a talent management representative from the corporate office. Like us on Facebook to hear about openings first and opt-in to our monthly emails to have fresh opportunities dropped in your inbox!